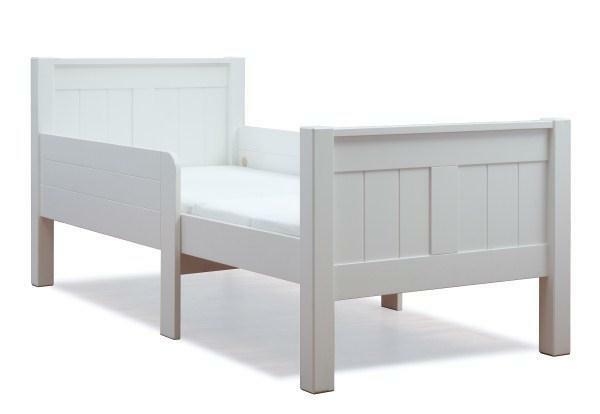 A well designed bed that grows with your child. 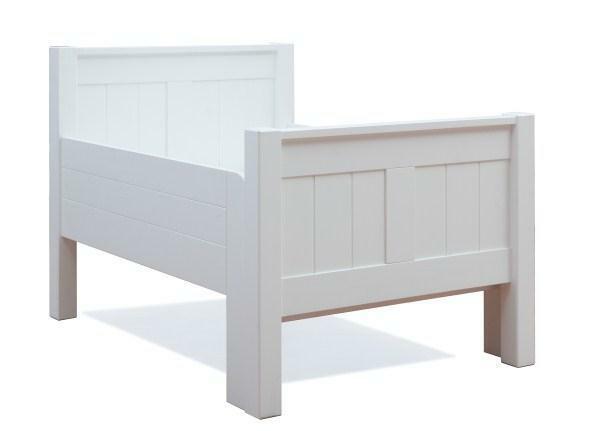 Use this as a transition bed between a cot and "big" bed. Cosy, high sides protecting your child from falling out of the bed. The tongue and groove details add a unisex touch to the painted white finish. Extends easily to 3 different positions with cleverly designed slat system. - and Final largest position 1831mm which is just under the length of a normal 3ft bed. 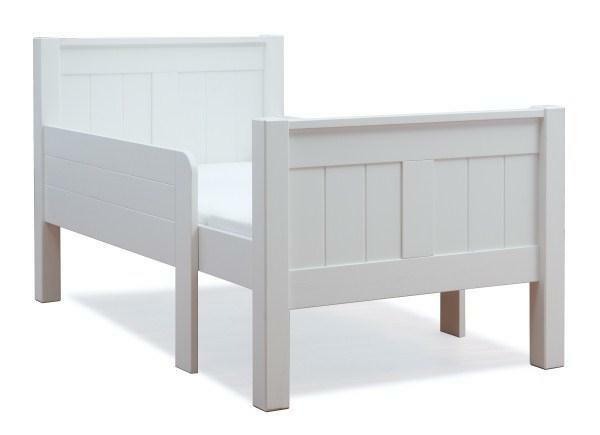 This is a very cute bed for children from the age around 18 months to about 7 years (depending on your child's size). Made from solid pine and crafted with traditional techniques ensuring sturdy frames. 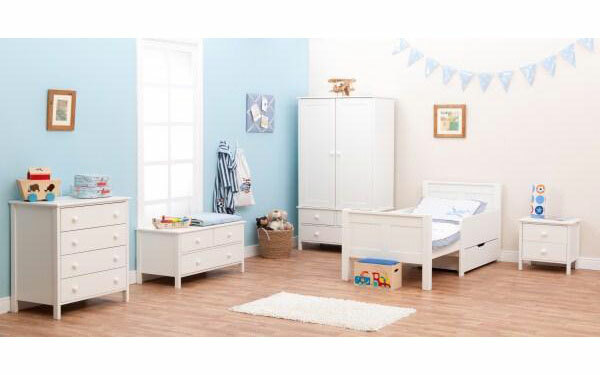 Includes Classic Starter Bed Frame, single drawer and the extendable mattress. 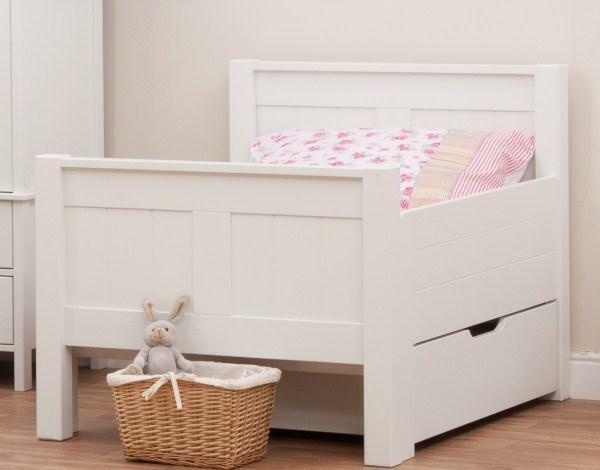 Starter Bed Frame with wooden extendable slat system. Size of Starter Bed H811xW857xL1147/1494/1831mm. Includes a comfortable foam mattress in 3 sections with an overall dimension of H135xW750xL1760mm. 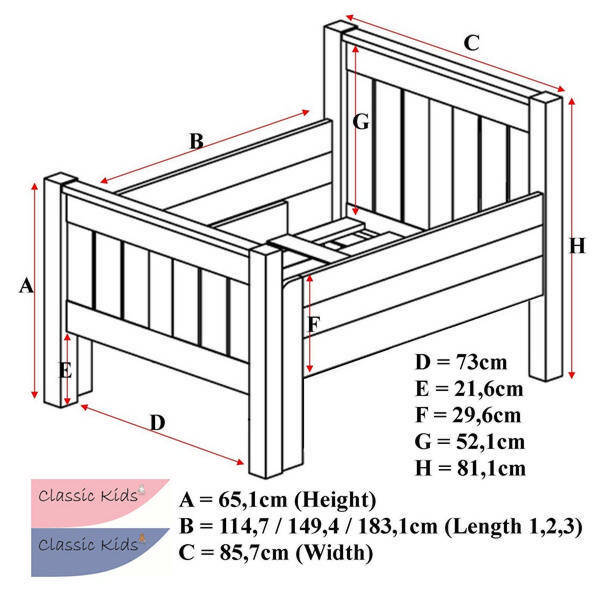 To view the technical line drawing specifications for the Classic Kids Starter Bed White + single drawer + foam Mattress please click on the following link.